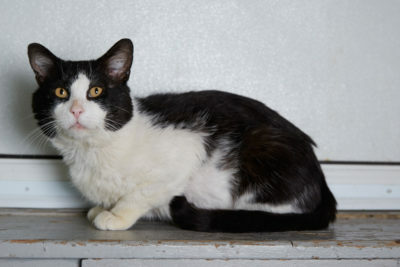 Oreo was found outside and brought to us in pretty bad shape. While under anesthetic for neuter, he was having difficulty breathing and became hypoxic, so he was taken off of anesthesia and woke up with oxygen. The veterinarian was unable to intubate or perform a much needed dental due to breathing complications. Oreo is being given steroids to reduce the inflammation and is on his way to recovery. 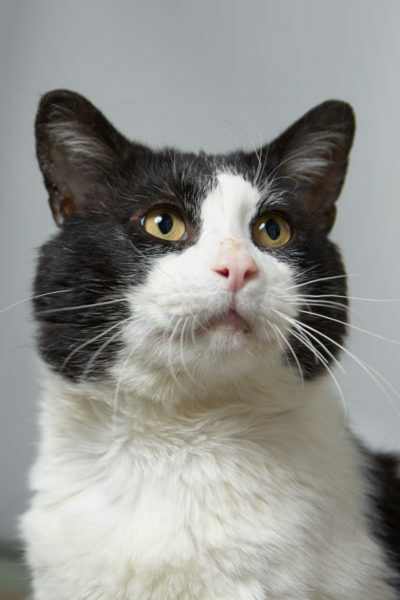 Even with all this, Oreo is one of the sweetest boys you’ll ever meet! He is a very calm and gentle cat that loves attention. If you’re looking for a true companion, he’s your guy!